I was in Times Square for the live webcast of Samsung Unpacked, Episode 2, where I also had the opportunity to go hands-on with Samsung’s move into wearable technology – the Galaxy Gear. Galaxy Gear is a smartwatch that is powered by Android and can be paired with a Samsung smartphone or tablet, such as the Note 3 or the Note 10.1, also announced today. It also features a 1.63-inch screen and 1.9-megapixel camera. I felt like a spy taking a photo with the watch: You point and shoot with your wrist pointing at whatever you want to capture and can look on the screen for a photo preview. The screen is big. It takes up your whole wrist and is bordered by stainless steel. The wristbands will come in six different color options when it releases September 25th. One message consistent at this year’s Wearable Tech Conference and Expo held in NYC (the next one is coming up in December in California) was that the key to successful wearable technology is design. It has to be functional but also look great – users are wearing these, after all. 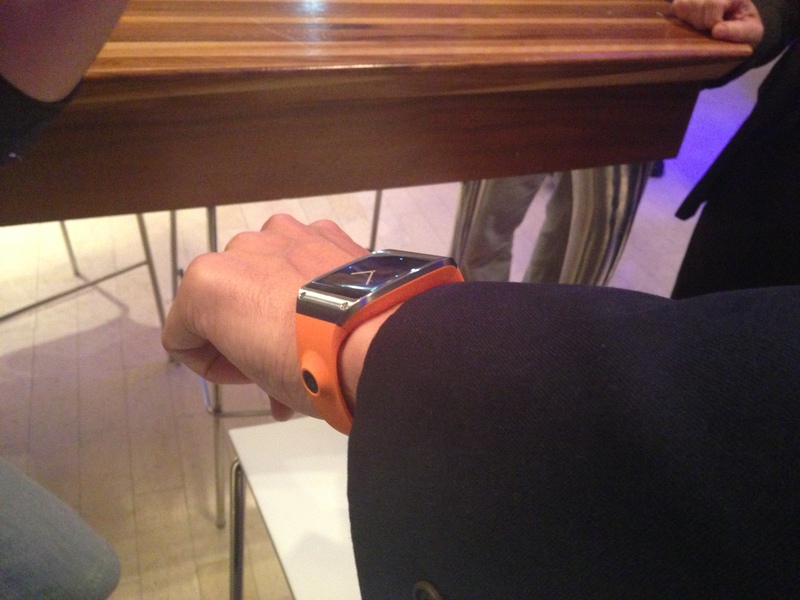 I think the Galaxy Gear looks good. It’s a little bulky and doesn’t feature any of that flexible technology we’ve been hearing rumors about, but it’s definitely eye catching, which is something early adopters of wearable technology are probably aiming to achieve anyway. Plus, it’s not as big as I expected it to be. You can send and receive calls and text messages, take photos and open apps all from the device. Navigating through the watch takes some getting used to, but it’s relatively easy -- slide left and right to move between apps, and slide down to go back and out of a selected app. It was surprisingly easy to punch in numbers to dial and read a full text message sent to the watch. Gear also comes preloaded with 10 different watch faces, with more available for download from Samsung apps. As more connected devices continue to make their way into our everyday lives, security continues to grow as a constant concern. 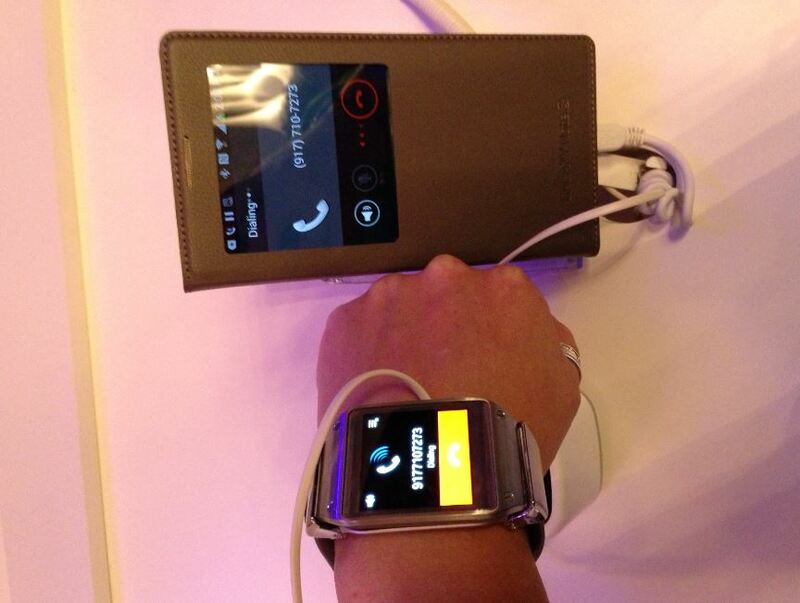 Galaxy Gear offers a security enhancement, Auto Lock, which automatically secures the companion smart screen anytime it’s more than 1.5 meters away, and then unlocks them when the two are back in the same range. Find my device helps users locate their devices by making them vibrate, illuminate and beep. The big emphasis Samsung is making with its Galaxy Gear is “Smart Freedom,” which grows out of two trends -- smartphones getting smarter and the mobility gained through these devices. We can do so much on the go today, and wearable technology, and Galaxy Gear, are both embracing and enabling that. With the Galaxy Gear, you can now do many of the things that you can on your mobile device without having to actually take out the device. That’s the beauty of wearable technology. It encourages an “at a glance” culture, so we can stay in touch with our alerts but avoid constantly pulling out devices. From your wrist, Galaxy Gear enables you to take photos and videos (the Memographer feature), save voice recordings into text with Voice Memo and conduct hands-free calls. S Voice also enables you to set reminders, check the weather and draft messages hands-free. 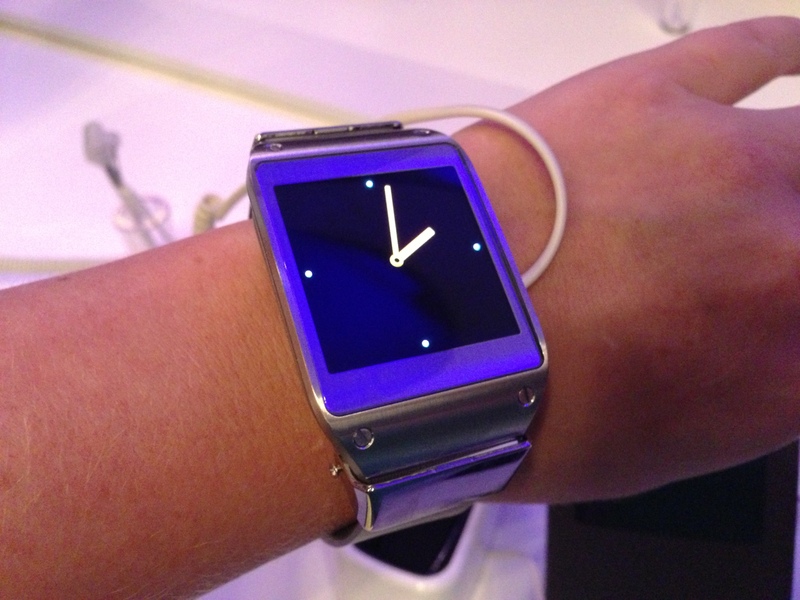 Priced at $299, we’ll see in just a few weeks what kind of impact the Galaxy Gear will have on the industry (If reports and reviews are any indication of that impact, it’s going to be a big one).